This dealership was top notch! Sean went above and beyond to make sure I purchased the car I was most comfortable with. He gave me suggestions and his advice, After I decided on the vechicle the process was quick and professional. I felt like family by the end of the whole process! I would recommend South motors (Sean in particular) to anyone who is looking for a new or used vehicle. I'm so happy with my purchase! Thanks! This place is absolutely amazing. Madelayne Q is hands down the best. If you ever need help make sure to have her help you out. She was understanding and made sure she’d doing anything to get me the deal I want and need. Madelyn is the best!! This is my second car from her and every time her service has been outstanding. I’ll be bringing my daughter in for another by June. Thank you for your outstanding service!! This dealership was top notch. My father was extremely lucky to have Madelayne Q as his sales person. She was very sweet and professional which made my dad feel comfortable purchasing his new car with her help. She went above and beyond to help him get the best deal possible within his financial means. She made the whole sales process easy for him. She also made sure to take her time to explain to him and demonstrate how everything functioned in his new car. He couldn’t of been any happier with her service. So if you are looking to buy a new car I highly recommend you work with Madelayne. I guarantee she will not disappoint you and will provide you with the best sales experience ever. Sales there is absolutely amazing. Madelayne Q. Is the best one. Make sure to have her help you out. She was so understanding of my situation. She doesn’t just sell to get a sale, she sells and makes sure she’s doing whatever she can to get you the deal you want and need! Loved it. 10/10 recommend! I was lucky enough to come across Sean as well as others who work there showing true professionalism and courtesy in my purchase of a car there, as well as going above and beyond to make sure I was well situated even after the purchase of my car. Making sure I was doing well and asking if the car was running fine. The process at South Motors Volkswagen has been nothing but smooth and easy going. I had the pleasure of being helped out by Sean in looking for the perfect GTI. He answered all my questions, wasn’t pushy like most, and gave great customer service. Highly recommend him to help you look for your future car. I purchased a Jetta last week for my son here, was very happy with the attention I received. I don't like going to car dealership normally but this time was different. The Sales Manager, Carlos Montenegro was very professional, I felt like he gave me his full attention and time. We agreed and the deal was done quickly. Everyone at the dealership was nice and courteous. Plain and simple - this dealership is Fantastic! I've been researching used vehicles for some time now and I went to visit this dealership where I was met by Sean (salesman) whom was able to answer all my questions. As I walked in with a budget, I had my mind set on a vehicle listed online. They provide a free carfax report on most vehicles, which is always a plus when purchasing a used car. Needless to say, that with negotiations between Sean and the sales Manager Carlos, we were able to agree on a great price for a great vehicle. It's been a little more than a week and am loving my car. Both Sean, Carlos and the staff were professional, courteous and are willing to work with you to get you on the road. Truly a different feeling than other dealerships I've visited/purchased from in the past. I am very happy with my car. I got a 2019 VW Jetta. Horacio helped me to get a really good deal and I am very happy with how everything has worked out. I've bought several vehicles from South Motors Volkswagen and my reason for going back aside frOm buying the best cars in town the salesman Luis Liriano the best in class service. The man knows his business. Very polite eager to assist and definitely help speed the process along. Luis you"re the best. My experience at South Motors Volkswagen was more than I could have hopped for. I was helped by Carlos Montenegro, the New Car Sales Director. He was very knowledgeable and listened to what I was looking for. He answered all my questions and in no time I had my new car. I am thankful for a great experience! 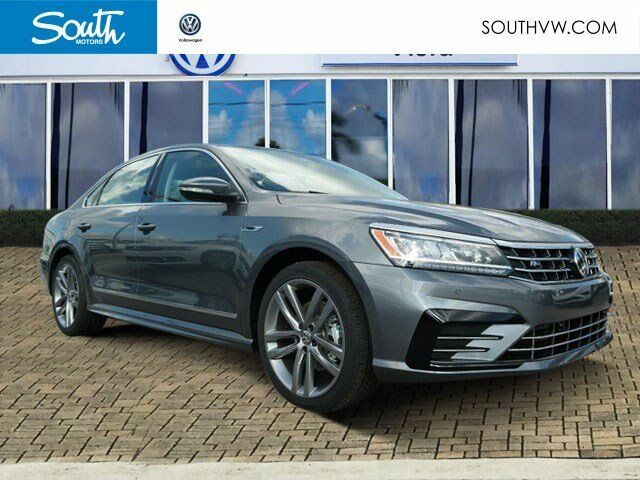 I recently purchased a used vehicle from South Motors Volkswagen and had a wonderful experience with Paul Leonard, the internet sales manager. I located the vehicle on cars.com, inquired and was connected to Paul. The entire process was a no-pressure buying experience. Paul is extremely professional and great with follow-up. I was happy with the deal I got, and didn't feel taken advantage of by any means. overall I like bringing my car to get serviced at this location, the staff is polite and respectful. Needed a new battery on my 2017 Jetta and it was almost closing time. When I called the girl that answered said to get there quick then called me back to tell me the techs were gone. I decided to show up anyway. Got there in 10 minutes. Karina Bernal welcomed me and immediately said of course that's what we're here for. She took care of me and was very kind and considerate to my needs. She's the best and I would only go back because of her. Thank you Karina !! I came in and ended up buying a Passat got the price I wanted and also got the trade offer I was seeking or lets say very close to it in regards to the trade. Angel was my sales guy and he made it happen. I am pleased with the expirience. I've seen negative reviews on here that dont reflect my experience at all! If i can score this dealership 10 stars i would! Hadi at finance really went out of his way to customize a loan i was comfortable with - 100% transparency! NO HIDDEN FEES and tricks like other dealers i've dealt with in the past, thanks South Motors VW!!! my neighbor just noticed my new Atlas and asked if i would recommend this dealership, i'm taking him there tomorrow! I decided to take my gti for service at South VW after a horrible experience with the "other vw" dealer around. - that's another review altogether. My expectations were not high after that experience, but I was very surprised by the service. Aurelio the service advisor explained to me that the issue with my transmission would require a reprogram and it the car would be ready by the end of the day. Sure I thought. I was very please to get a call from him near the end of the day telling me the car was ready. I was actually caught off base and had to scramble to get a ride to the dealer. I got there a little after service dept closed but the actually had all paperwork ready and waiting for me. Needless to say I was very happy to have my baby back the same day. They even washed and cleaned the car.